From Dong Seoul Terminal, take the bus towards Yeongdong. 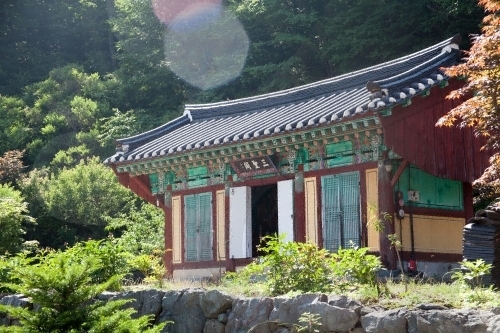 - Take the city bus towards Jeonju. - Get off at Seochang. 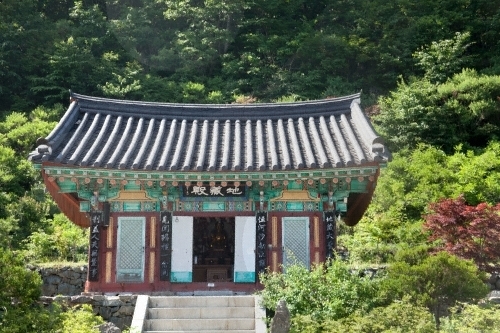 As the only temple in Jeoksangsan (or Mt. 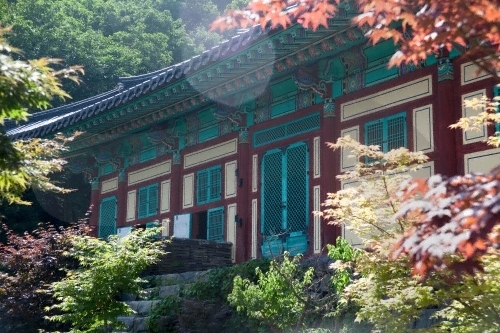 Jeoksang), Anguksa Temple was built in 1227 (during the 3rd year of King Chungryeol’s reign) by Monk Wolin. 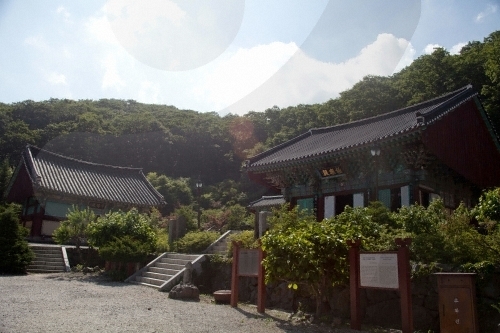 A secret historical archives, called Sagak, was built to store Joseonwangjo Sillok (annals of the Joseon Dynasty) in 1614 (during the 6th year of King Gwanghaegun’s reign) within the mountain, while Seonukgak was built in 1641 (during the 19th year of King Injo’s reign) to store Seonwonrok (royal genealogical records). 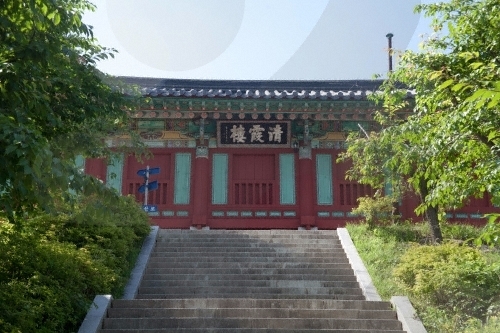 The two sites were designated as Jeoksangsan Historical Archives during the Joseon Dynasty. 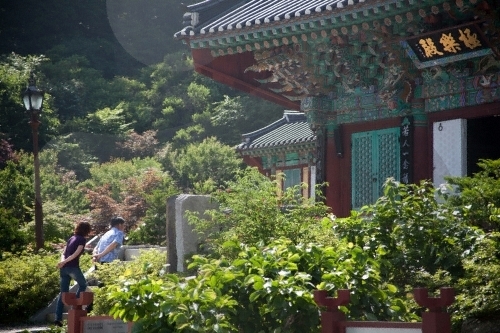 Hoguksa Temple was also built at that time to prevent accidents from affecting the archives. The temple, along with the existing Anguksa Temple, was used to house monk soldiers who protected the archives. 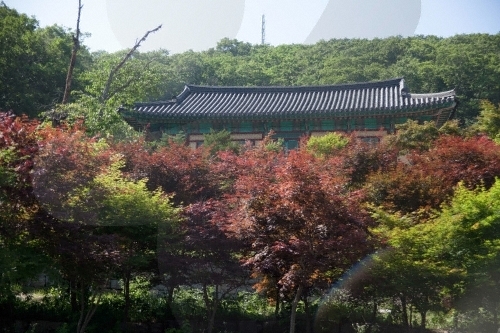 Because of the construction of Muju Power Plant, Anguksa Temple was relocated to the Hoguksa Temple site and rebuilt in 1995. 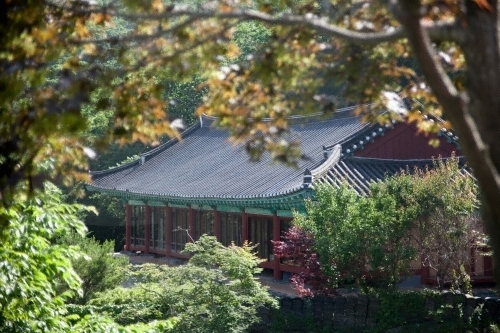 Consisting of 15 buildings, the temple is surrounded by Sanjeong Lake. Boasting exquisite fall foliage, the temple can be easily reached by vehicle along a paved road. 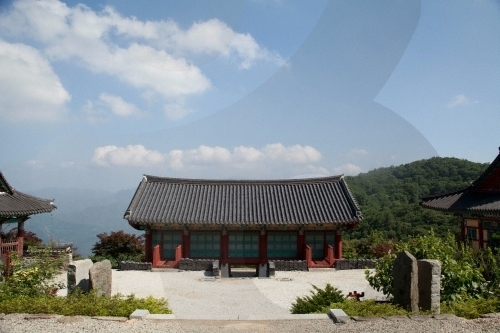 The nearby attractions include Muju Resort and Muju Gucheondong Valley. 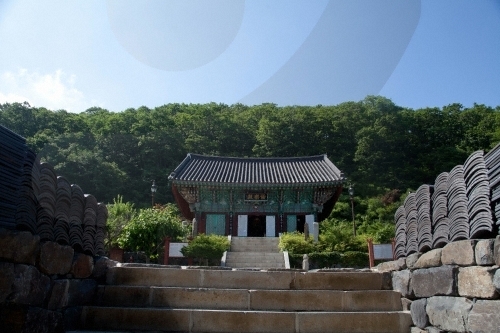 * If more than 4 people register, lunch (balwoo gongyang: communal Buddhist meal service) program is available.